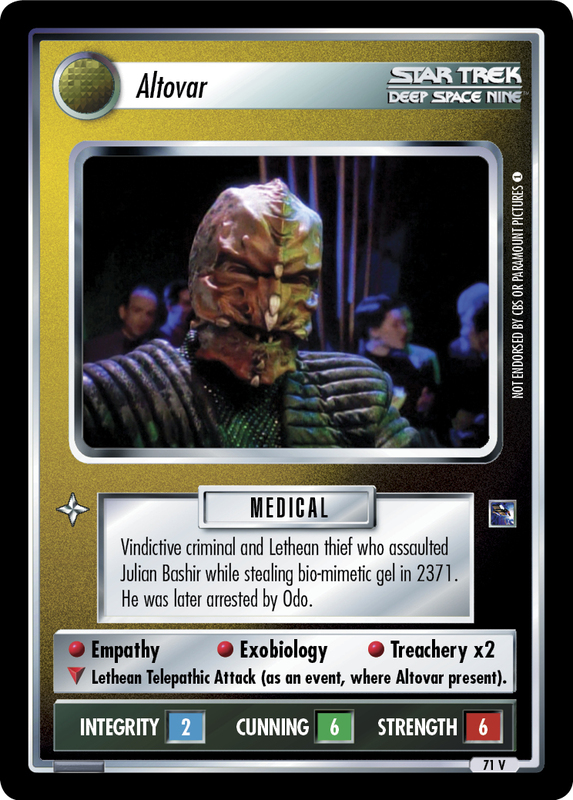 Vindictive criminal and Lethean thief who assaulted Julian Bashir while stealing bio-mimetic gel in 2371. 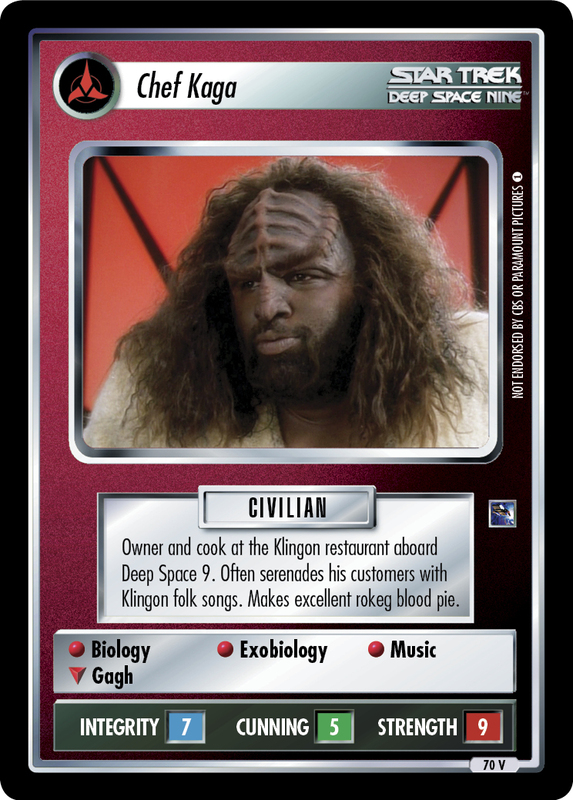 He was later arrested by Odo. • Empathy • Exobiology • Treachery x2 ∇ Lethean Telepathic Attack (as an event, where Altovar present). 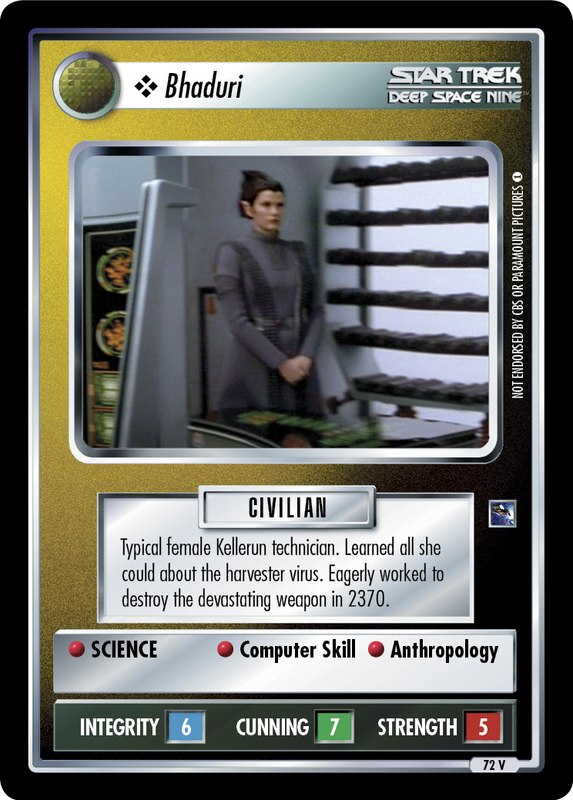 Image Source: Deep Space Nine: "Distant Voices"